Something very special is finally revealed in Forex trading. With the newest Super Trend Profit Indicator technology you can now accurately predict every new trend before it even occurs! A unique trend indicator tool with extreme prediction capabilities (never seen before accuracy) is now available in the forex market in order to change the stressful way we all learned to trade. Now you can generate up to a 100-200 pips on daily basis using this absolutely amazing and easy to use Super Trend Profit indicator. This will make your trading more enjoyable then ever in the history of forex. 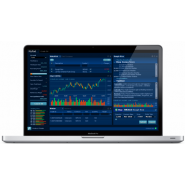 The powerful functionality provided via this amazingly designed tool is not some kind of miracle but instead the newest and most advanced IT technology allowing you to make accurate market predictions like you have never experienced before in the market. I guarantee you that once you try this tool you will be blown away. That’s a promise. The secret behind it is to build the most accurate Trend indicator that catches a new trend BEFORE it turns! The unique Super Trend Profit Indicator is something never experienced before…. One of the world’s best indicator tools in the forex market can do something extraordinary. Believe it or not there are no more boring trading sessions or any complicated market analysis procedures that tend to give you headaches. Now you can enjoy your trading time in the most pleasant and easy to handle way like you never experienced before. Why? 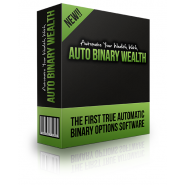 Well, something unique never seen before in the whole history of forex is now revealed within this fabulous tool’s functionality. Now by just looking at your charts you get to trade in an unimaginably unique way. Don’t believe me? Once you get to see what this fabulous tool can really do, you will be shocked and that’s a promise. This Indicator works on Forex pairs + Any Stock, Currency, Commodity, Bond, ETC.. The Super Trend Profit is the only Trend Indicator that is 85-90% Accurate and rarely gives false signals. It works on ALL Stocks, Currencies/Forex, Commodities (Oil, Gold, Natural Gas, Silver, etc) and all Bonds. Basically anything with a chart! Just sit back and wait while Super Trend Profit analyzes the markets for you and gives you ACCURATE signals. It also alerts you when a signal is occurring so YOU DON'T EVEN NEED TO BE NEAR THE COMPUTER! This makes it great as a side-income (that may become bigger than your current income). 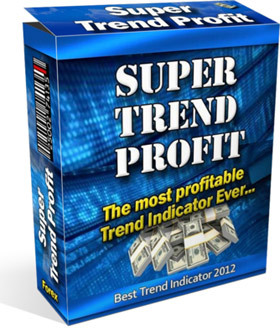 With Super Trend Profit Indicator there’s absolutely no need to learn anything new. Yes, you got it right, nothing new must be learned and in that way this tool’s popularity further enhances as it can be used by all users both novice and professionals. No matter what you now know and what you don’t don't about forex. Trust me you can still get the most out of it. But guess what? We didn’t stop there! With the Super Trend Profit Indicator we went even further and made it even more comfortable for you to trade with. This unique tool is now “platform independent” and thus can be used with any trading platform of your choice for a more pleasant trading experience. Just simply use your favourite platform and start trading as comfortably as you never have before. It is that easy! Don’t get me wrong but the Super Trend Profit indicator is now considered to be one of the worlds easiest to use indicator tools ever designed! That’s absolutely fantastic. the most enjoyable & pleasant way. How the "Super Trend Indicator" looks like, real signals. 100% of the signals are ultra profitable - no losses! 4H TIMEFRAME - AMAZING HUGE PROFIT! The "Super Trend Profit" indicator does NOT REPAINT! How it works? - RED line-sell, BLUE line-buy. Now it is that easy and pleasant at each time you trade…! How does the indicator actually work? Pick a Forex pair or a stock that you'd like to trade. Open a chart. Whenever you get an alert popup with buy or sell signals (blue or red line) - you decide whether or not you want to enter the trade. Take Profit and Stop loss - calculated Automatically and printed in the popup and email alerts! Unlike many other indicators, Super Trend Profit automatically provides you with the Stop Loss location for ANY trade, so you will have rock-solid trades for maximum Risk:Reward. Super Trend Profit focuses on calculating a LOGICAL stop loss - not just a few pips away from price - but a strong stop loss that maximizes the probability for profit while minimizing your risk. In a simple yet powerful method Super Trend Profit calculates stop loss, so you will have a tight stop loss for every trade you take - so your losses are minimal and profits are huge! Having to spend countless hours in front of your PC constantly watching market movement including fluctuations along the chart in different currency pairs can be kind of awkward. 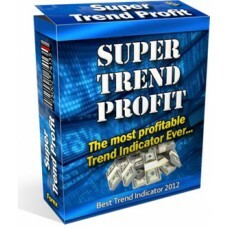 Trading however with the amazing Super Trend Profit indicator you now don’t have to. You can simply wait for a pop up alert for either buy or sell including an instant email notification delivered right on your PC or mobile phone. 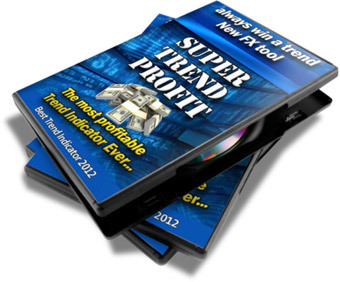 The Super Trend Profit indicator has an amazing functionality of generating faster pop up alerts and email notifications so that you can no longer lose in forex again. Wow! With the world’s best indicator tool however, there’s more. You can now kill two birds with one stone. Why? Even if you choose to watch the market in real time you can do that in the most relaxing and user-friendly way never seen before in forex. By simply following the indicators line colour and trading accordingly is now unbelievably profitable. Once you realise how accurate and thus profitable it is and to trade with you will be shocked. Just bear in mind that this is not some kind of random colour switching software but indeed a software which knows any market movement before it even occurs and thus changes the line colour either Blue, or red according to current and nearby future market movement. If there’s a trend up the line itself will turn to blue where if there’s a trend down, the line itself will turn to Red. Being able to trade that way when watching the market is unimaginably easy to follow and once you try it out you will never use another software ever again. 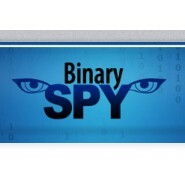 Uses the most pleasant and easy to follow trading method. 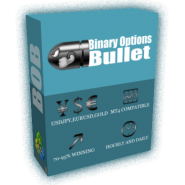 Proven to generate of at least 100 pips of profit on a daily basis. 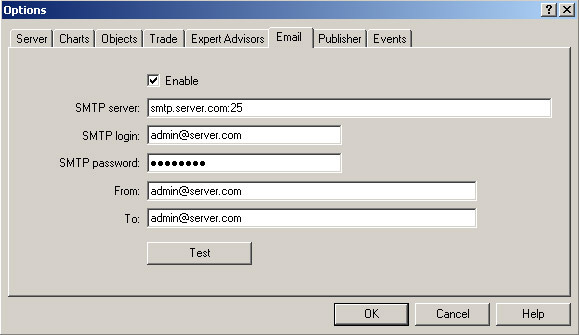 Sends an automatic email alert of when to trade. Instantly generates a pop up alert. Gives you current trend and signal status via the informer unique feature.